Randy Rhoads, 31 Years Gone, Still Influencing Guitarists! The first concert I ever went to was Ozzy Osbourne, January 4, 1982 at the San Diego Sports Arena. I remember it like it was yesterday. The only bummer about this show was that it was right after Christmas vacation from school. Since I was counting down the days until the show I was in essence counting down my vacation…. But, not only was it an Ozzy show, it was Ozzy with Randy Rhoads. Randy Rhoads the guitar legend who would tragically be killed in an airplane crash just over two months after this show. I can still picture the crushed students at my Junior High School wearing black armbands. That was the cool way to pay tribute to a fallen rock idol in those days. John Bonham and Bon Scott were two others so honored, I recall. I always cherish the fact I was lucky enough to see Randy live and my first concert!! 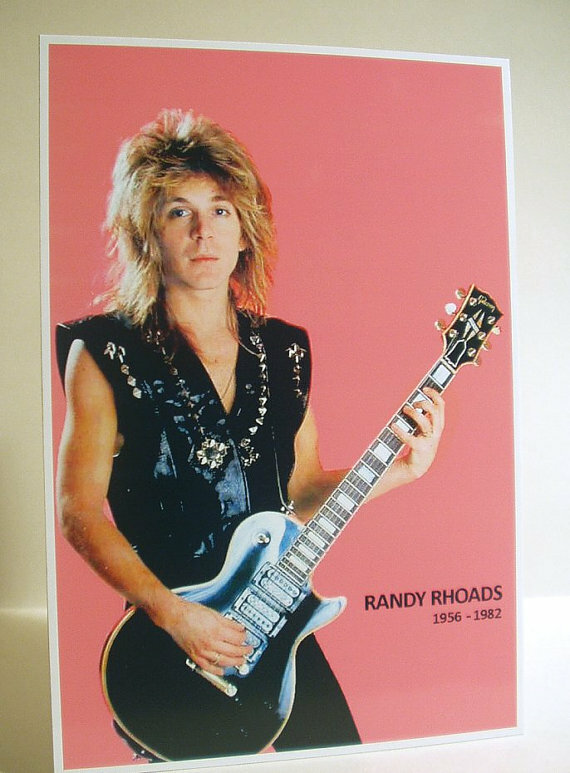 Randy was the first guitar hero to blend a classical approach with heavy metal. Most guitarists at the time were more blues/rock influenced. With only two studio recordings, “Blizzards of Ozz,” and “Diary of a Madman,” to his credit, Randy has left a huge legacy regardless. His influence still reaches out today 31 years after his death to new generations of guitarists. “SATO,” is a cool song, maybe not one of Randy’s classics. I picked this video as it does a great job featuring him! Amazing how much influence Randy had with only two real albums to his credit. I always loved the guys who practiced all the time, as well. Randy, Eddie, SRV, Vai, Schenker… They all have/had such a command of the instrument.